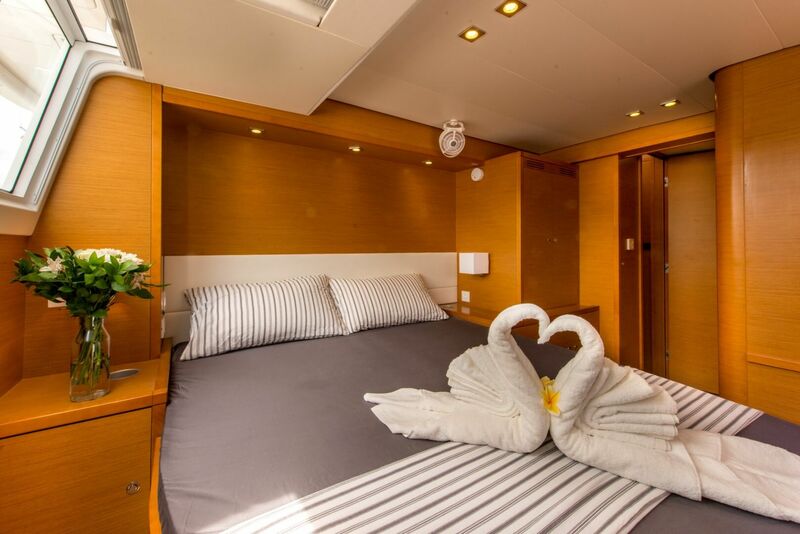 Designed for long distance cruising, the Lagoon flagship is a luxurious property that can be sailed around the world in great comfort. 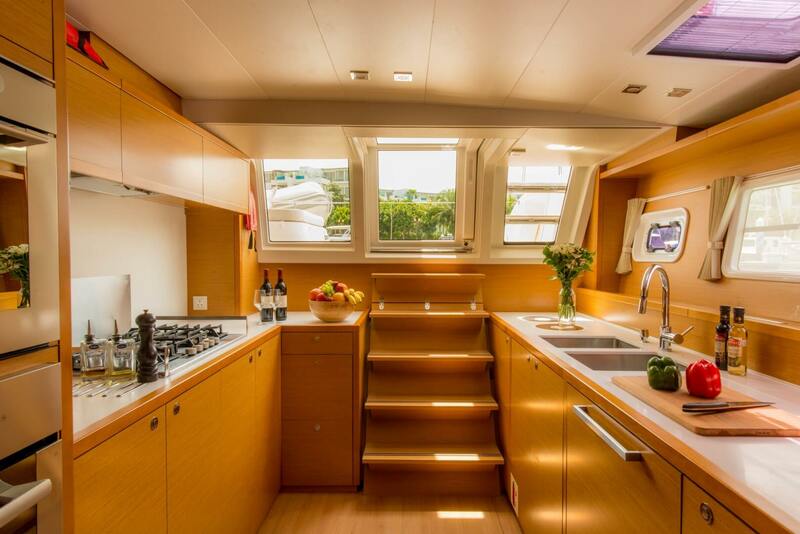 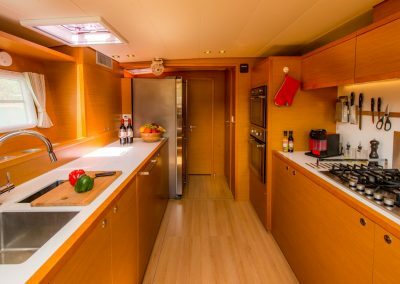 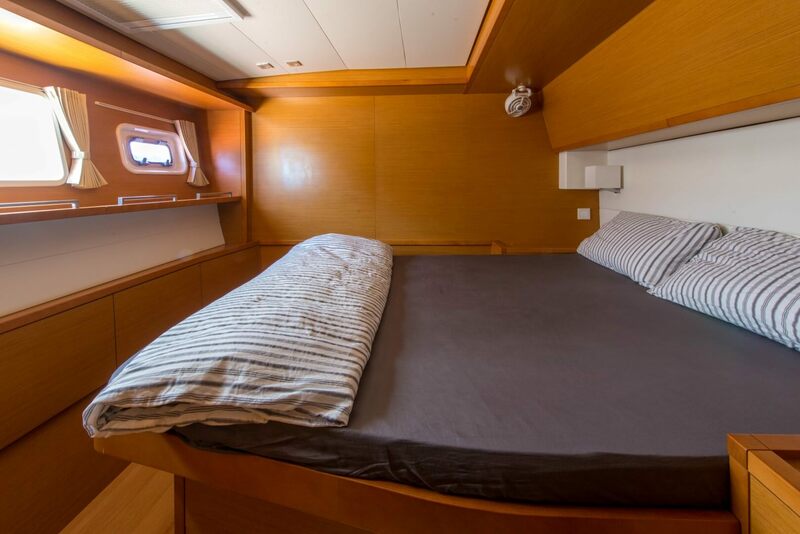 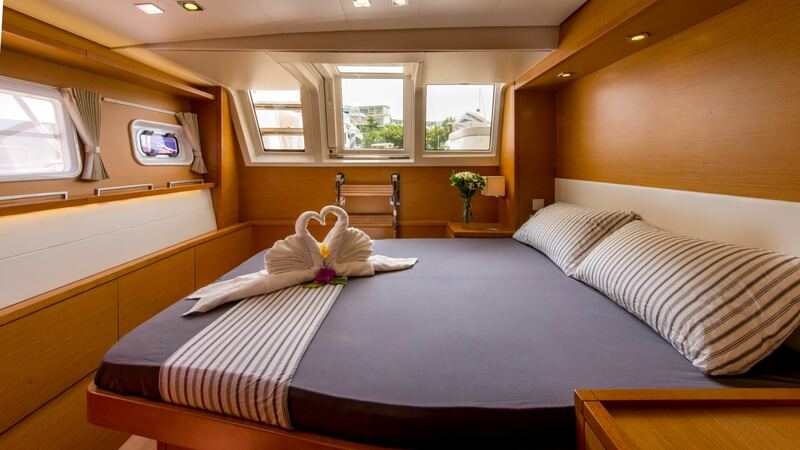 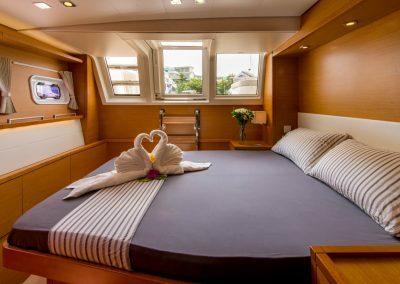 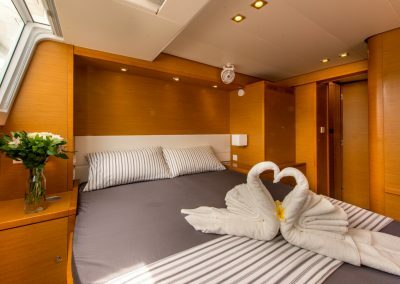 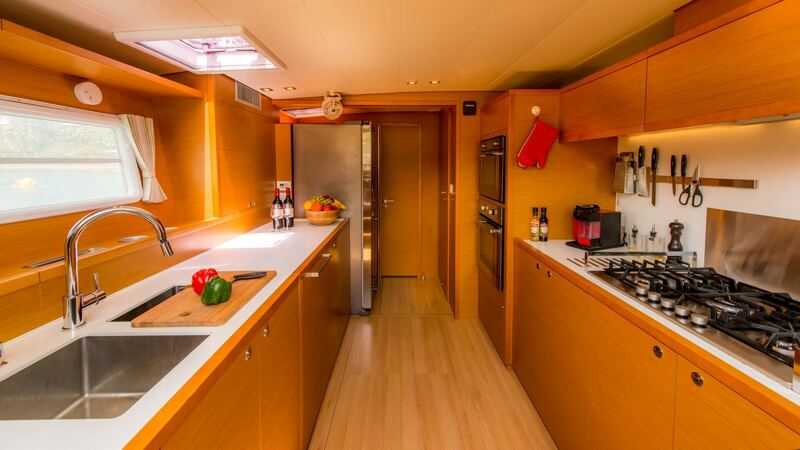 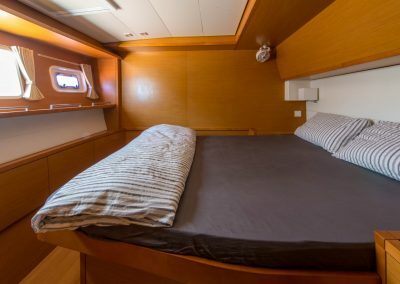 Our well-designed, luxurious cabins come with ensuite bathrooms with separate shower, individual air-con control, side access to beds and large hull windows for plenty of natural light. 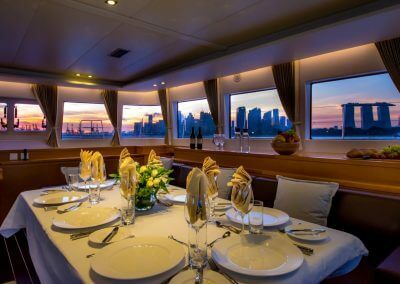 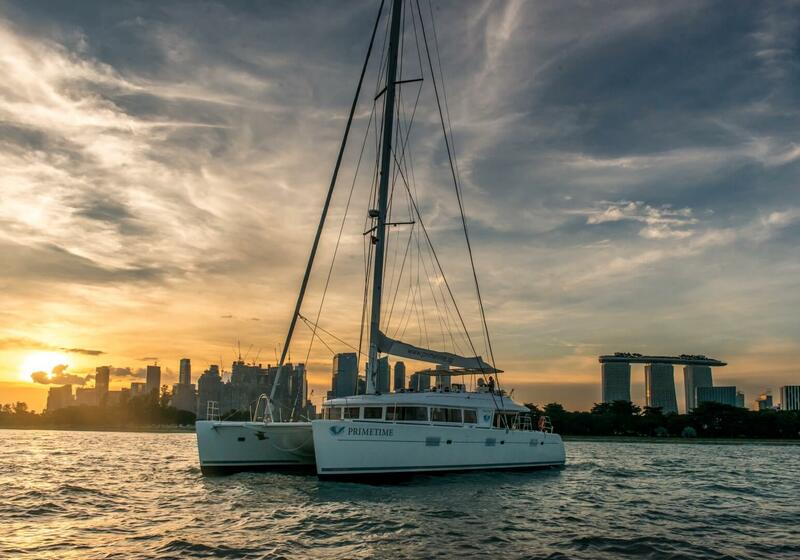 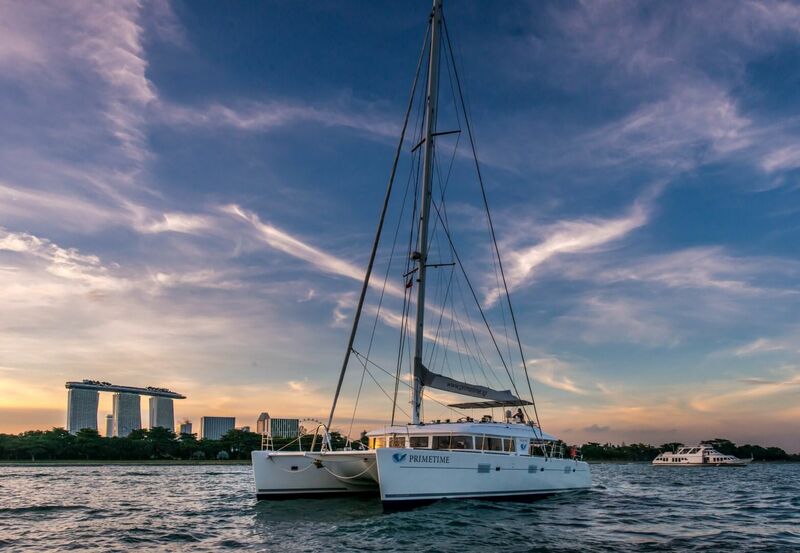 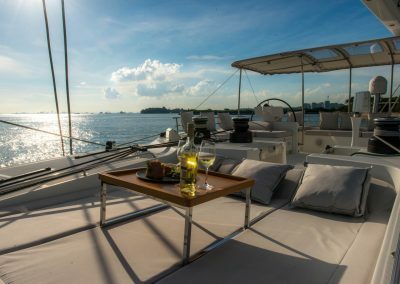 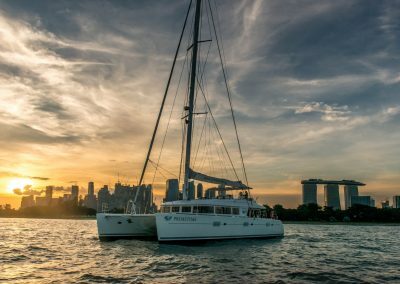 Our Singapore Day Charter cruise is perfect for corporate events, a birthday party, wedding cruise, fine dine dinner, or fun cruise. 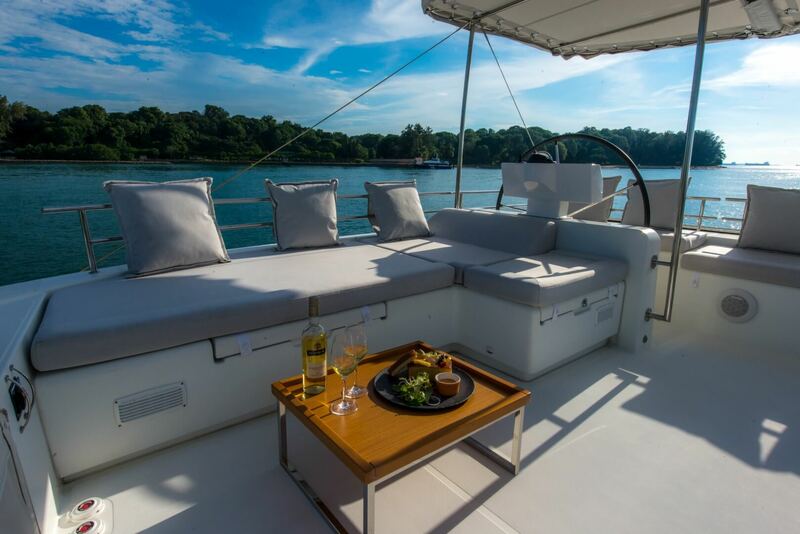 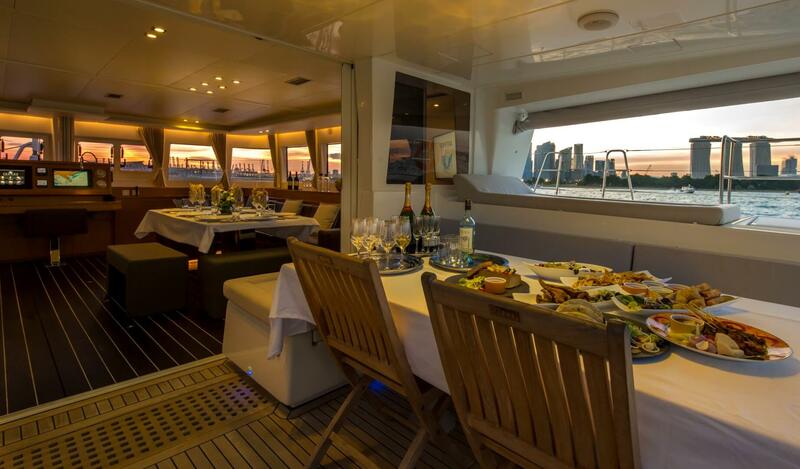 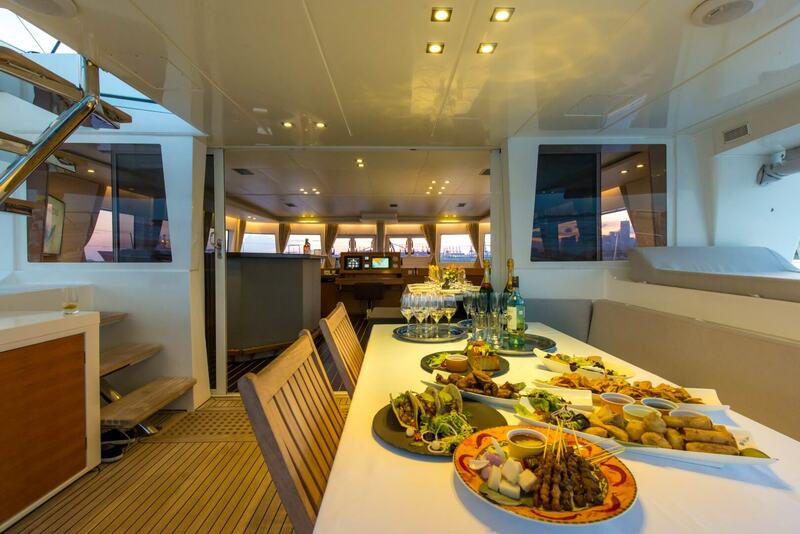 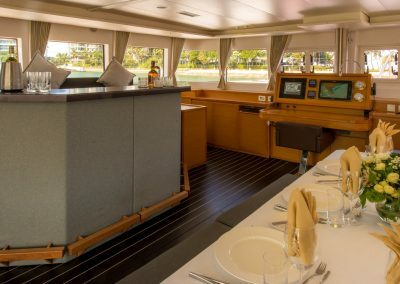 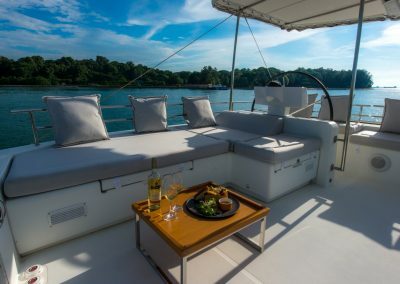 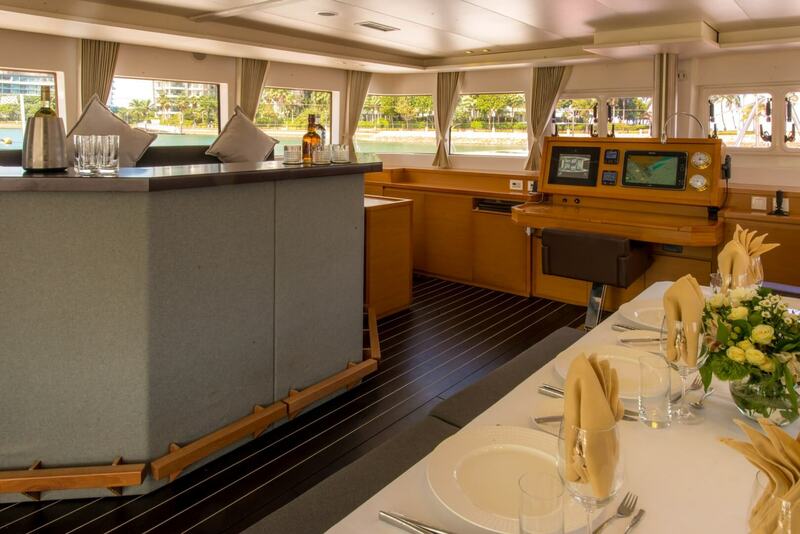 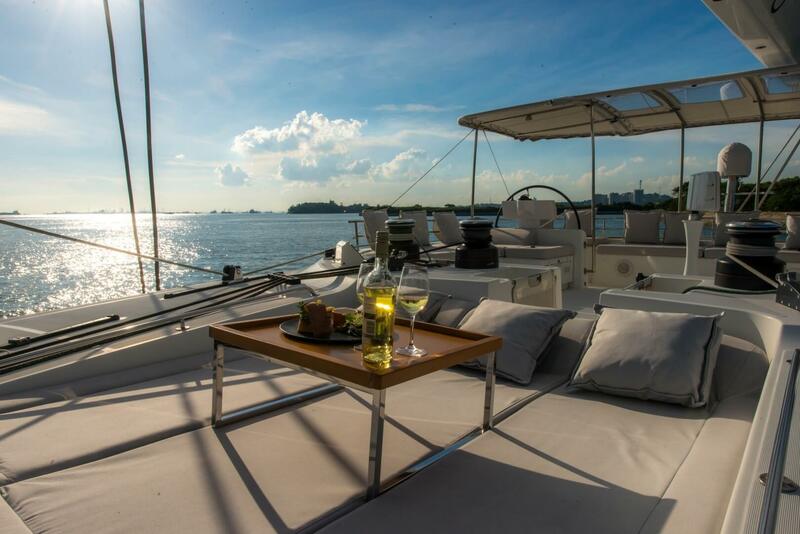 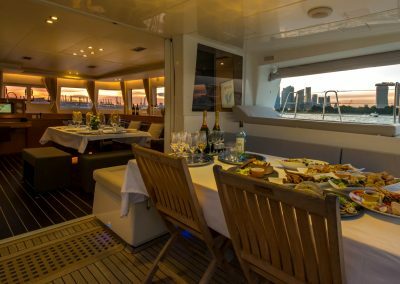 Imagine a private yacht charter with gourmet cuisine, spectacular views and dedicated crew. 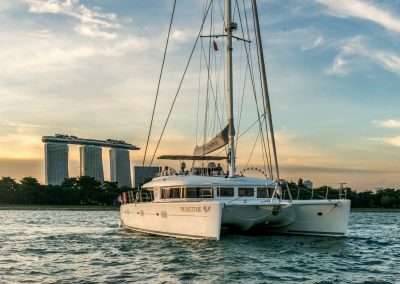 The Yacht was built in 2013 and arrived in Singapore in June 2016. 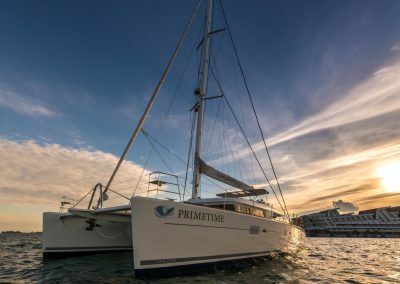 We have worked through the Salon, covered 2 of the 4 stairs aft, placed a teak wood flooring on top of he existing floor, and customized "The Prime Bar". 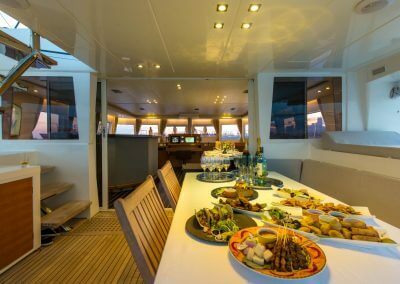 We have boosted the Lifestyle System (with Dolby surround) with a professional multimedia system with karaoke, large LED screens, special lights and laser effects; all for the perfect party. 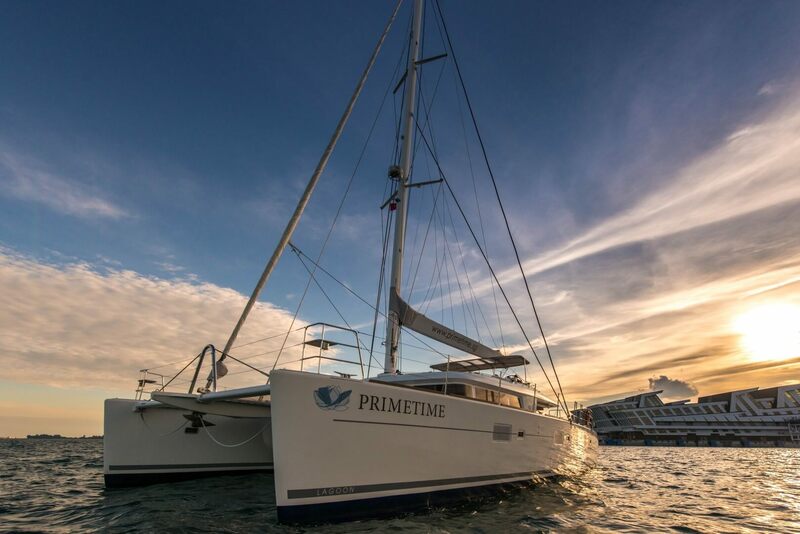 Book your yacht charter on Primetime to experience the extraordinary level of service. 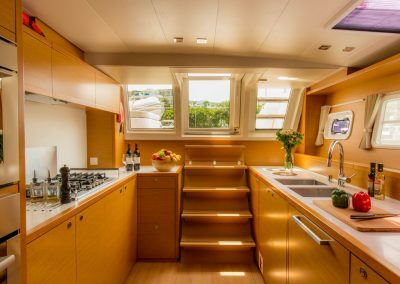 This button links to an external website and will open on another tab/window. 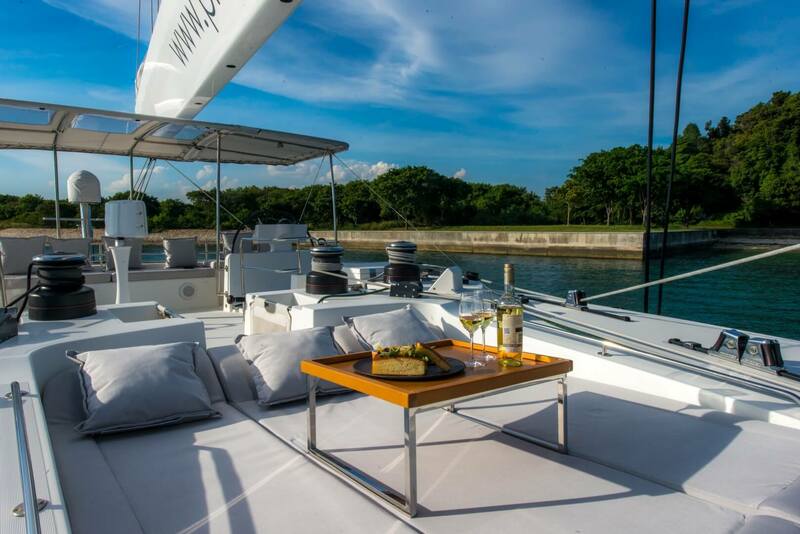 More information on our booking portal below. 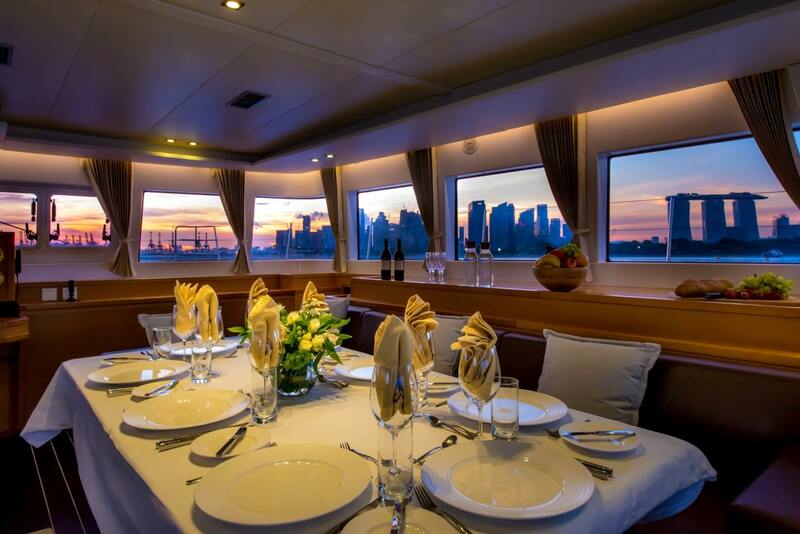 Enjoy special promotional rate from $3015.26 for 5 hours.